Have what you say transcribed by a court recorder for the Commission’s administrative record. "14. 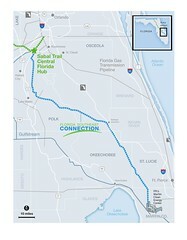 Discuss Sabal Trail gas line. Elected officials and candidates for public office, are invited to a SpectraBusters panel discussion in Lowndes County, Georgia. Topics will include potential pipeline routes, property rights (eminent domain, property values), water issues (aquifer, sinkholes, springs), whether Florida even needs more power, better power sources (solar, wind, conservation, and efficiency), noise, health, and hazards. A representative from the pipeline company is invited to be on the panel to present their perspective. SpectraBusters and allies from all states are invited to attend, and are encouraged to hold panels elsewhere.